To customize your notification settings, go to Settings - Notifications (Personal Settings - Notifications for Administrators and Team Managers). 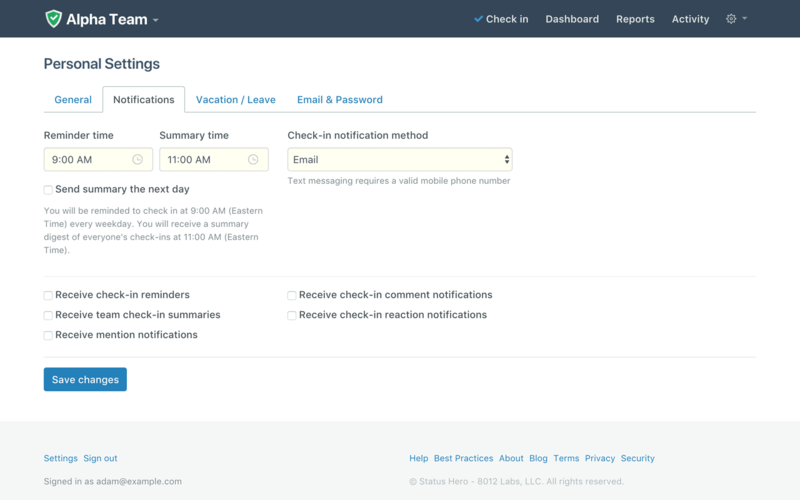 Here you can set your time zone and what type of notifications you receive as well as customize the reminder time, reminder method, and summary report time. Note: SMS/Text message check-in reminders are available in Pro and Corporate plans only. If you are subscribed to the Basic plan, you will need to upgrade to use SMS/Text message check-in reminders.